In “What’s Jewish Food?,” I wasn’t really complaining so much about bagels and lox as I was about “Ashkenazi-centrism” (seriously didn’t make this word up). Food was just the lens through which I chose to discuss a particularly aspect of Jewish diversity. Someone even told me to stop complaining and start writing a new Jewish cookbook. This particular someone doesn’t know how often I cook and that this suggestion made my family laugh uproariously. Besides, someone’s already covered that territory. 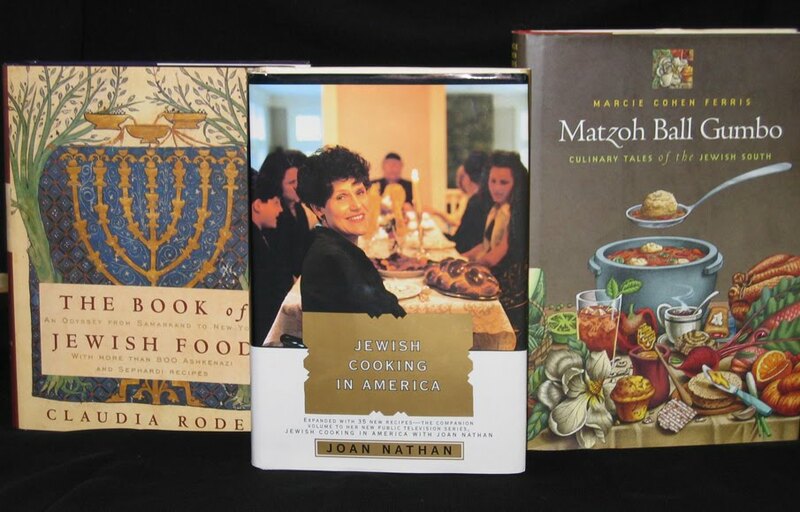 Check out: “The Book of Jewish Food: An Odyssey from Samarkand to New York” and “Jewish Cooking in America”. Previous Post Does someone who converts to Judaism really become “a Jew like any other”? Next Post Straight Hair at Any Cost? thks for posting the new recipes for jewish diversity education. that's a new one for me — its certainly a decent start! and certainly worth sharing. . . .
i'm almost ready to write a book on new fusion jewish recipes . . how we take the old and new recipes from our various jewish experiences and traditions . . and reconstruct them to be relevant to our modern lives! I think here in Israel the divirsity in food is more easily seen. There is so much diversity in Middle Eastern cousine here that a person can get a more clear picture in how diverse our “normal” cooking can be.